A trap for catching and monitoring the presence of box three moth (cydalima perspectalis) on boxwood, holly, iris plants. 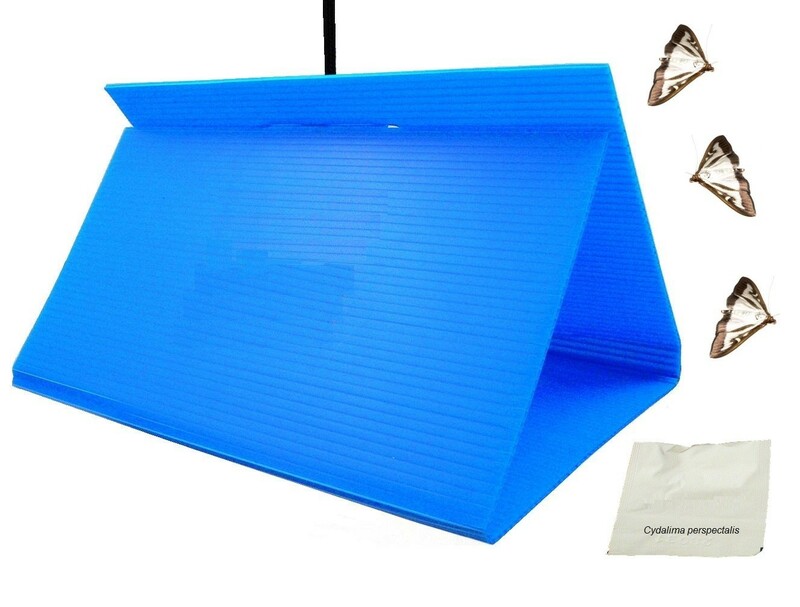 For monitoring and catching box three moth, use 1 trap for 20 m2 or 5 m for linear planting. Pheromone dispenser emits a smell luring the males, it has to be exchanged every 4-6 weeks. It is recommended to use traps starting from March / April until the autumn. Unfortunately, Cydalima perspectalis has no natural enemies (such as birds). Cydalima perspectalis is active from the spring to autumn, from 2-3 generations.